Which Is The Best Farrier Apron On The Market? Whether you’re a professional farrier or just practised at rasping your own horse’s feet, a good apron is an absolute must. They are generally made of heavy material that can protect your legs from the horse’s feet and legs, and from accidentally rasping your own legs. 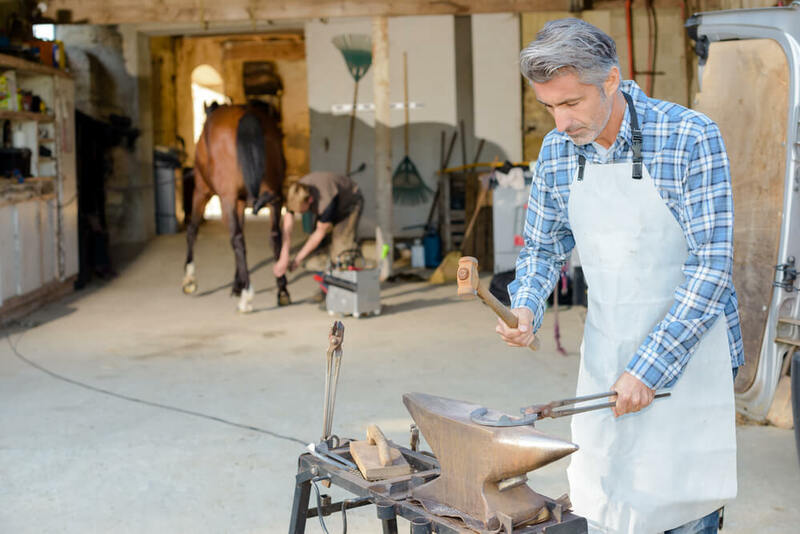 The best farrier apron should be strong enough to withstand all types of scraping from the hooves of a horse unwilling to hold his legs up, and can even cushion a bit of the blow if you happen to get kicked. There are a lot of farriers aprons, so how do you know which to invest your money in? You read on to find out, that’s how! This is a high quality, well made nylon apron from a well known and trusted brand. The apron does exactly what it was designed to do – it protects your thighs and knees, and it comes with some useful added extras like a magnet and pockets. Large leather area across the apron – Leather is known for its strength and durability, so having a large portion of the apron made of this material is a great selling point. 2 knife pockets for storing tools – It is essential to be able to put your hand on your tools when you’re bending down holding one quarter of the weight of a big horse! These convenient pockets are just within reach. Sewn in magnet for nails or knives – This is invaluable for those tools you just need to clip on and get hold of quickly, or for keeping track of nails. 5” wide belt with plastic snaps for convenience – This makes this apron fantastically easy to put on and take off. 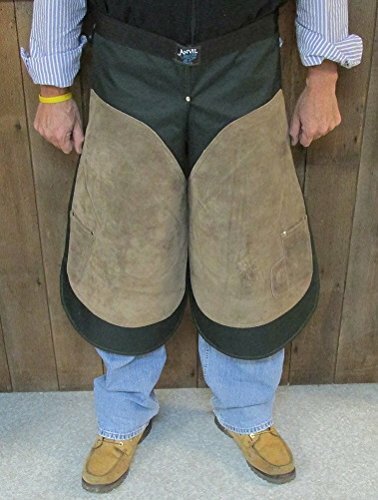 Could be too long for the smaller individual – These aprons reach below the knees of a 6ft man, meaning that those of a smaller stature might find them too long. A great farrier’s apron, with everything it needs in order to function well and be a useful piece of kit. These have the added advantage of being very well priced – you could buy two! Another Anvil product, this time in leather and canvas for that extra bit of durability. 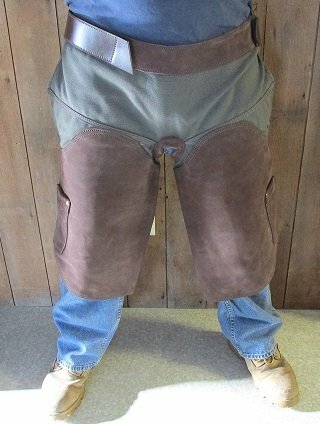 These are a fantastic pair of farrier’s chaps, expertly designed to keep your legs safe and protected, and are made of high quality materials that should last and last. 26” long, so suitable for the shorter individual – There is nothing worse than buying gear that isn’t the right fit, and farrier’s aprons that are too long are nobody’s idea of fun! This one should sit just right on the average sized person. 2” wide leather belt with buckle and Velcro release – The wide belt gives this apron even more of a heavy duty feel, while having the buckle as well as the Velcro means that once it’s on, it’s not going anywhere. Easily removable Velcro leg straps – The ultimate in ease and convenience, having Velcro as a means of attaching the leg straps makes this apron versatile and easy to use. It also means you can position the legs just right for your individual working style. Super strong and long lasting – Both canvas and leather are known for their strength, so putting the two together can only make a product that is built to stand up to hard wear, and will last and last. This apron can be heavy – The combination of canvas and leather gives these chaps a weighty feel, so bear this in mind if you’re going to be trudging for miles to find those horses! Also, if it gets wet the weight will be doubled, so try to keep it dry as much as you can. Another great product from Anvil, these chaps are slightly more expensive than some others on the market, but they are built to withstand pretty much anything you can throw at them, so they should last you for years to come. Weaver have created a farrier’s apron that will not only do the job you want it to do, but also looks stylish (until it’s worn in with the inevitable stable dirt, that is!) These chaps are completely leather made and feature useful additions to help make your job easier. Full leather construction – Leather is about the best material you can use when you’re looking for something that is durable and strong. Plus, with its pearl gray color, it looks pretty attractive too! 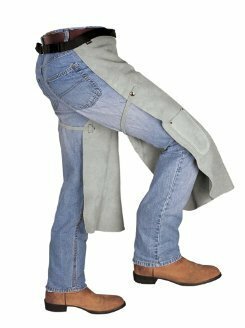 Useful pockets for storage – This apron features a pocket for your hoof knife, as well as a magnet for sticking loose nails to, which is great when you’re out on a job and don’t want to leave any nails lying around. Adjustable waistband makes the apron very versatile – Because it will fit waists from 29” to 52”, these chaps are great for all seasons – they will still fit over multiple layers in winter! Leather may rip with aggressive use – Some users have reported the leather coming away from the waistband after a “discussion” with an angry horse. The best farrier’s apron should be made from the strongest materials possible, bearing in mind that you’re dealing with the business end of a very large animal. It should also be convenient to use – you need to put your hand on your tools quickly and easily, so useful pockets for specific knives and magnets for nails is another feature that should be included to make your life easier. It doesn’t matter whether you’re a professional or you just trim your own horse’s feet, you need the right gear for the job. Investing in a good farrier’s apron can save your legs from some real damage.